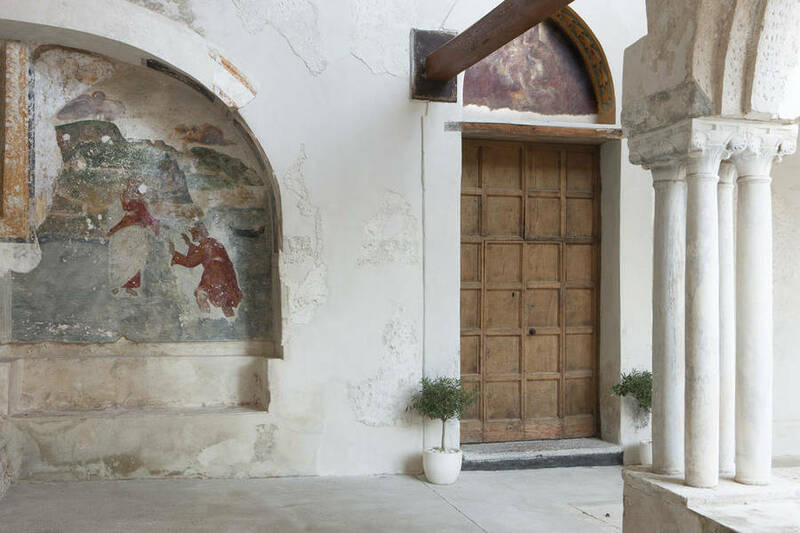 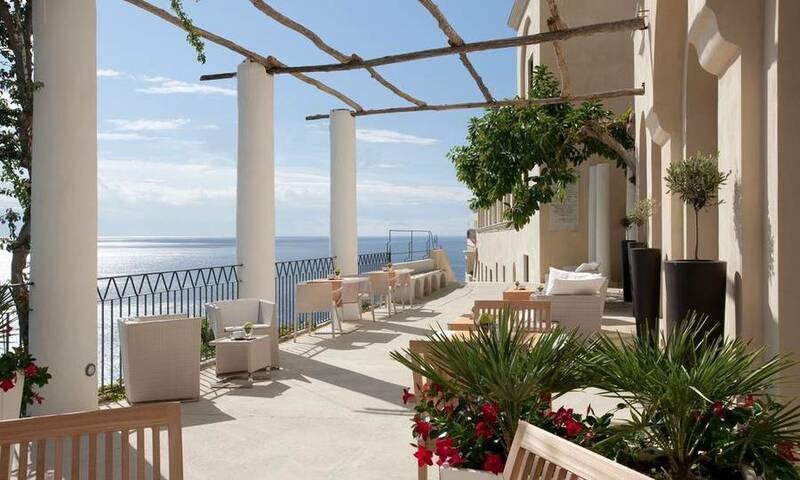 There's something almost mystical about the charm of the Grand Hotel Convento di Amalfi. 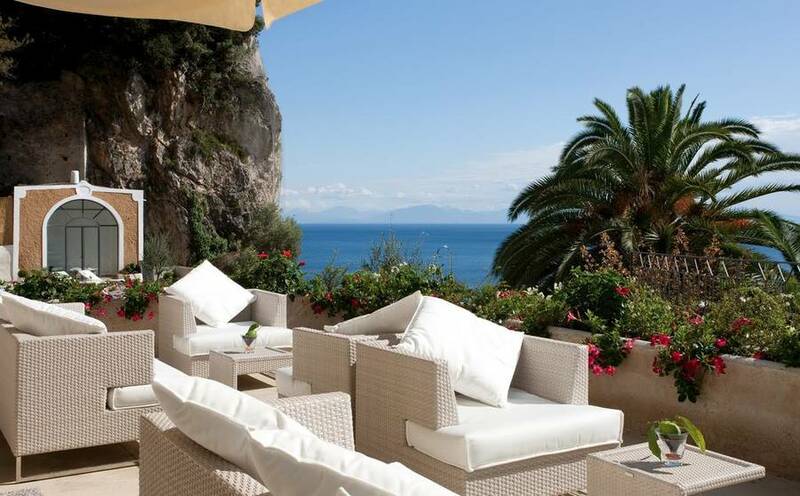 The atmosphere is due, perhaps, to the fact that this 5 star hotel on the Amalfi Coast was originally a monastery, built in the 12th century, on the cliffs overlooking the Bay of Amalfi. 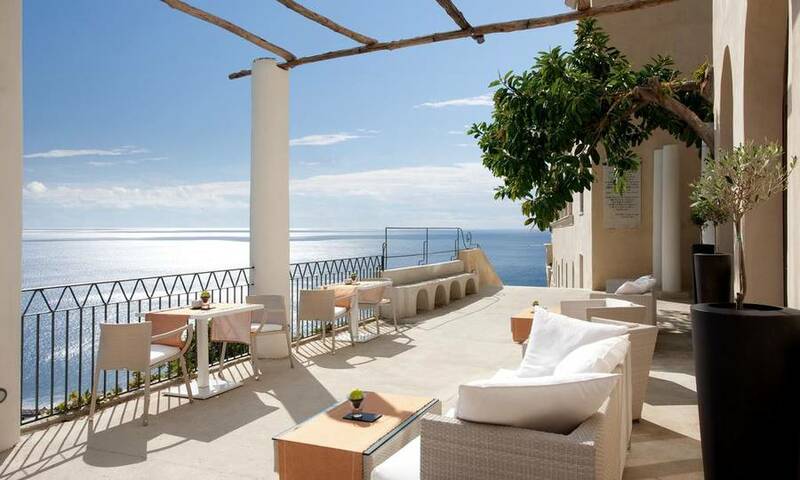 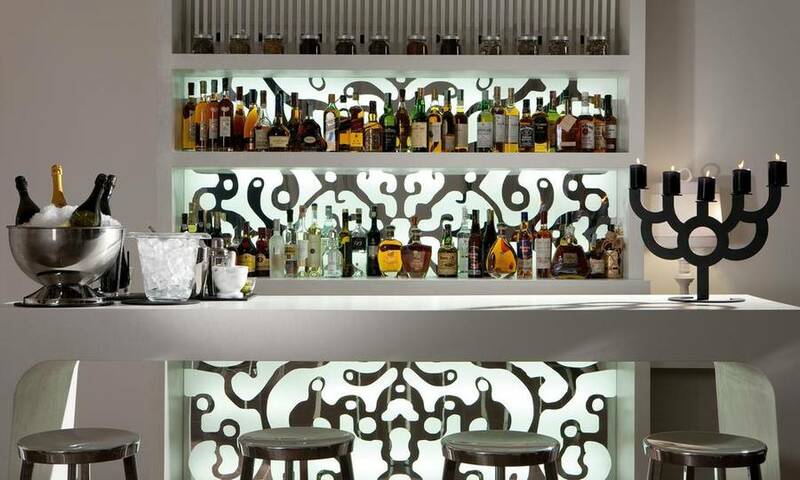 Today's Grand Hotel Convento di Amalfi is a modern hotel with an ancient soul. 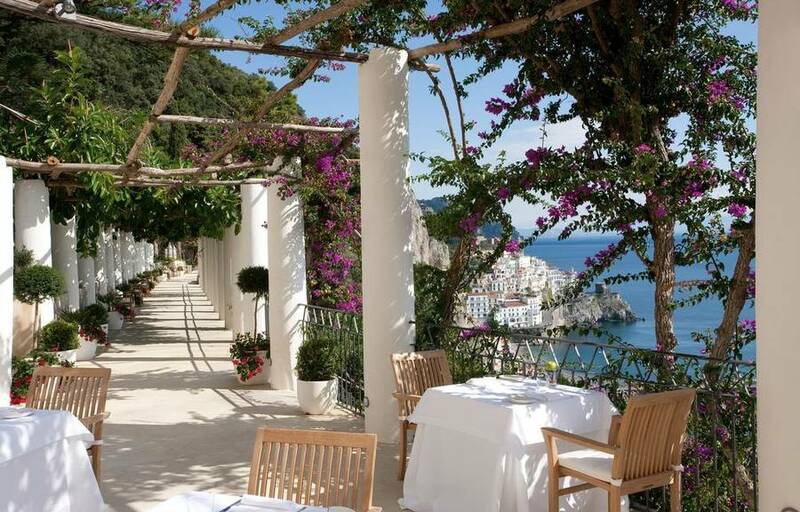 The characteristic pergola of the "Monks' walk", the romantic Loggia facing the sea, and the enchanting Arab-Norman cloisters all reflect the architectural traditions of the Amalfi Coast, which here are combined with a decidedly contemporary concept of luxury. 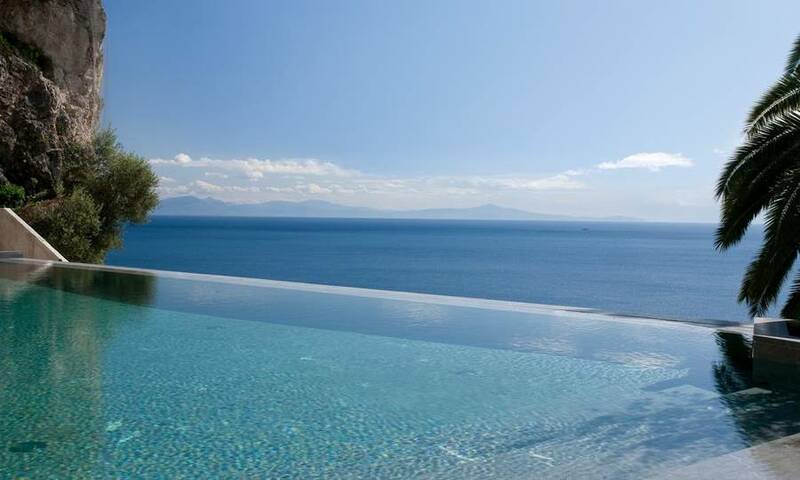 Carved out of the rock, directly above the sea, Grand Hotel Convento's infinity pool appears as if suspended between the sky and waters of the Amalfi Coast. 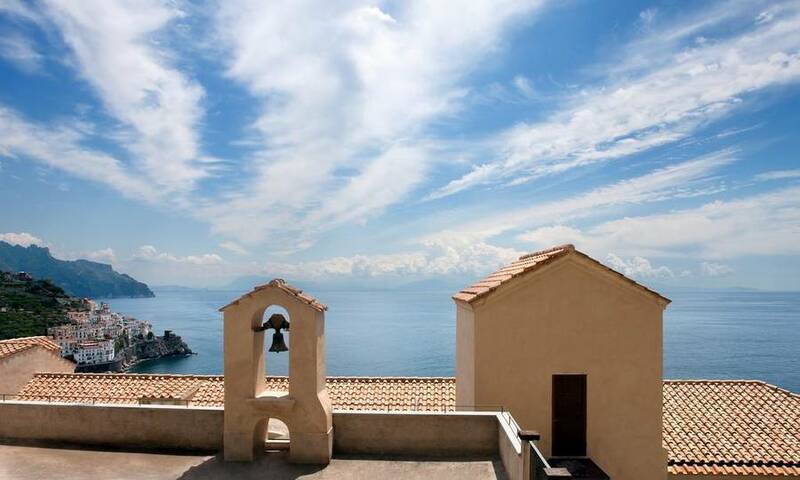 This is where guests pass much of their vacation, bathing in the glorious Mediterranean sun. 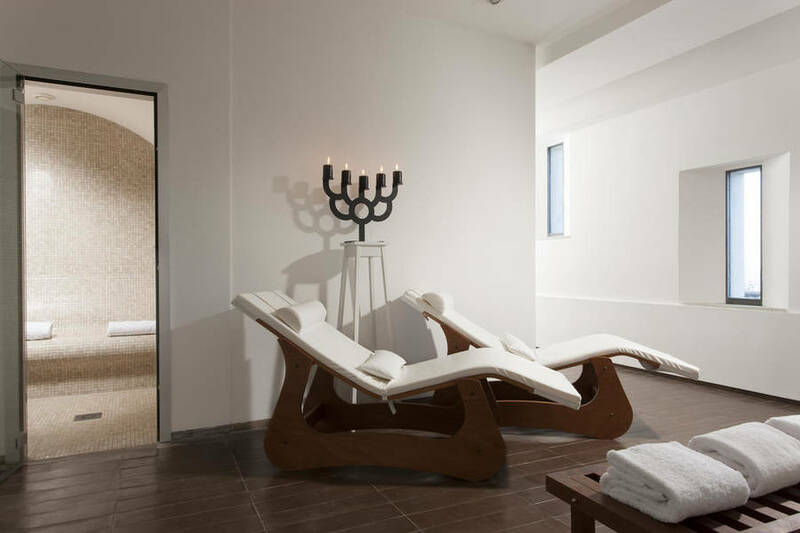 Spa lovers will be tempted to try out the hotel's elegant wellness center, indulging in a wide range of massages and beauty treatments. 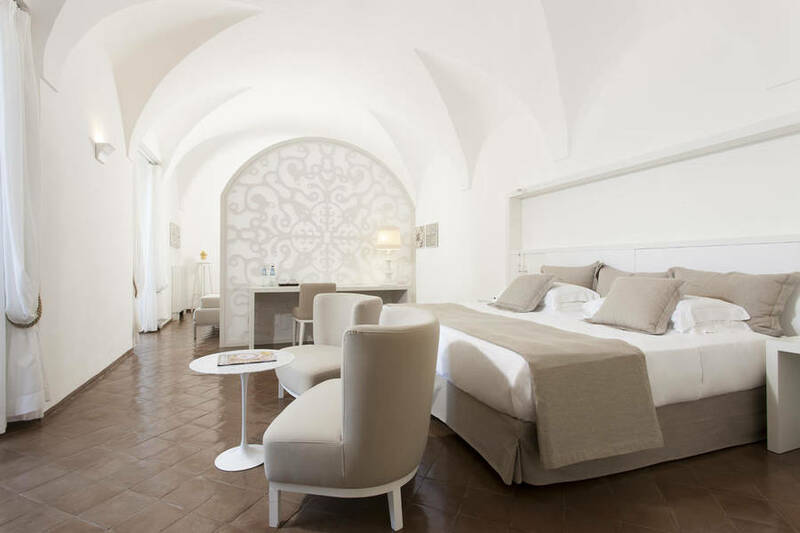 Grand Hotel Convento di Amalfi's bedrooms feature Arabian style arches, vaulted ceilings, and pretty balconies and terraces overlooking the sea. 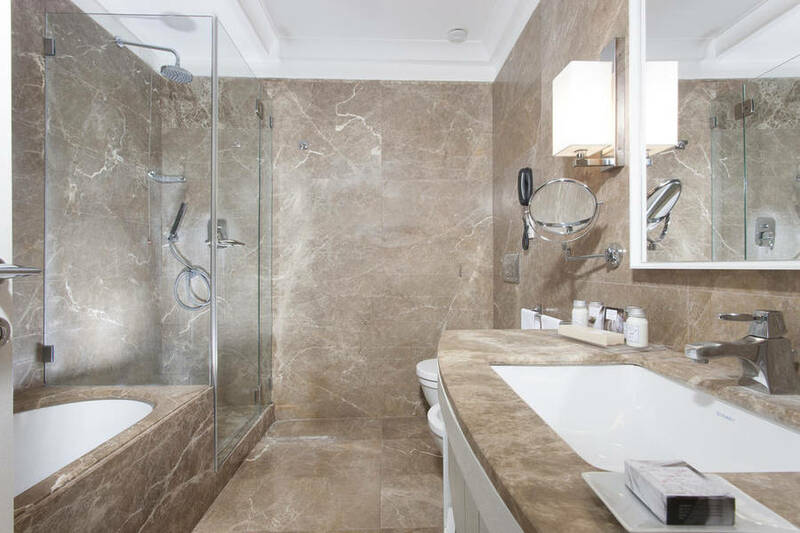 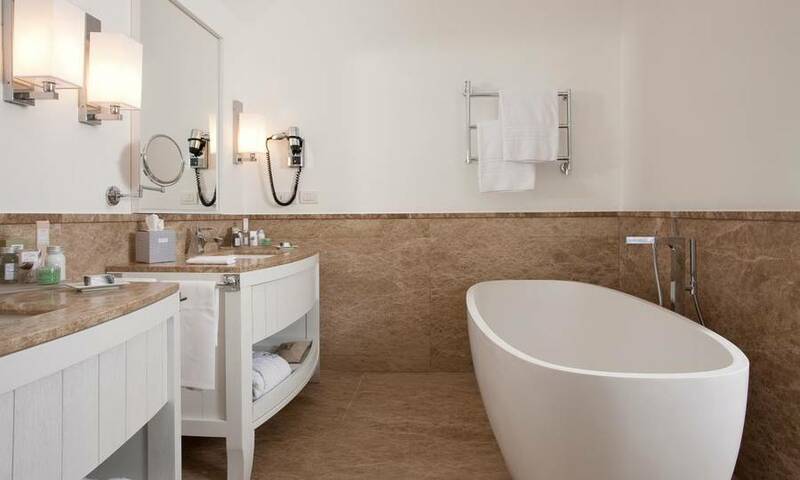 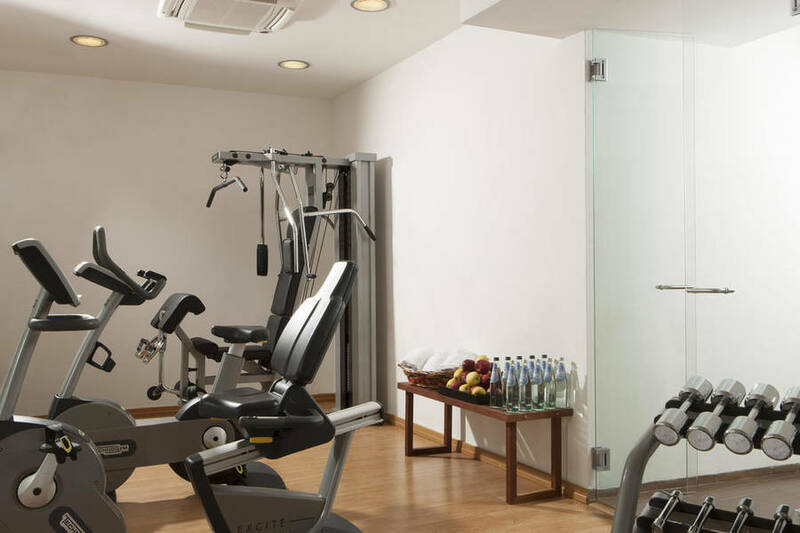 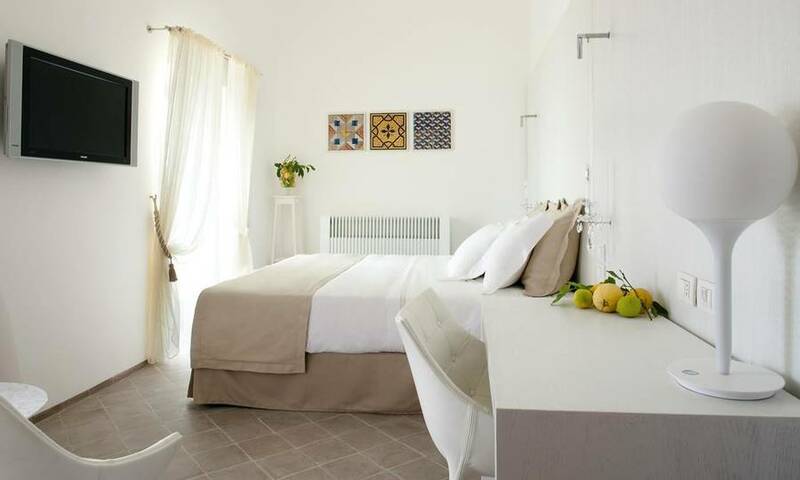 Spacious and welcoming, the rooms are decorated in brilliant whites and equipped with the latest in technology, including wireless internet connectivity. 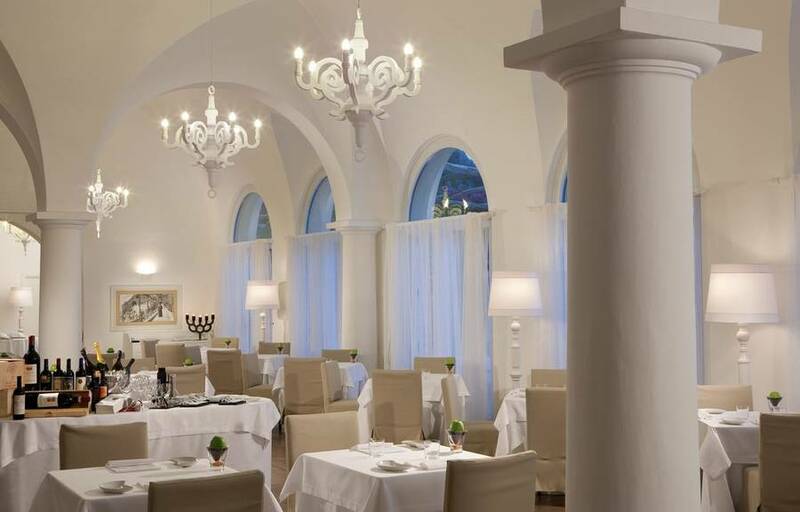 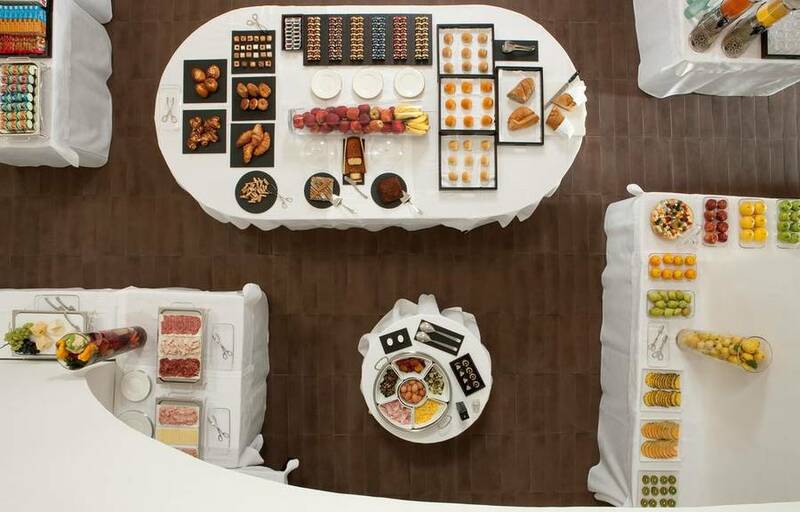 Guests dining at the Grand Hotel Convento di Amalfi's "Dei Cappuccini" restaurant are given the perfect introduction to the traditional cuisine of the Amalfi Coast, savoring all the flavors and aromas of this paradisiacal corner of the Mediterranean. 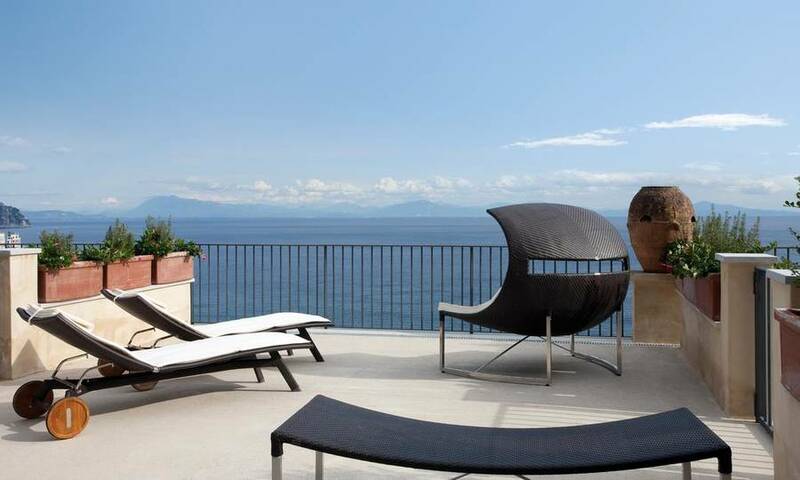 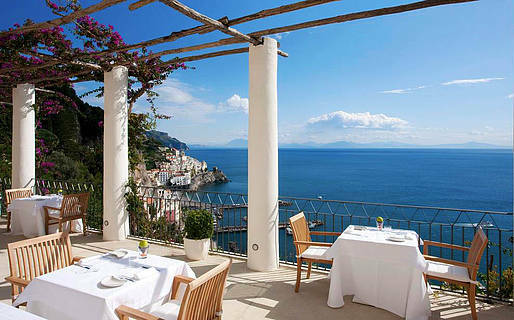 From its fifth floor location, the terrace of the restaurant has wonderful views of the whole of the Bay of Amalfi. 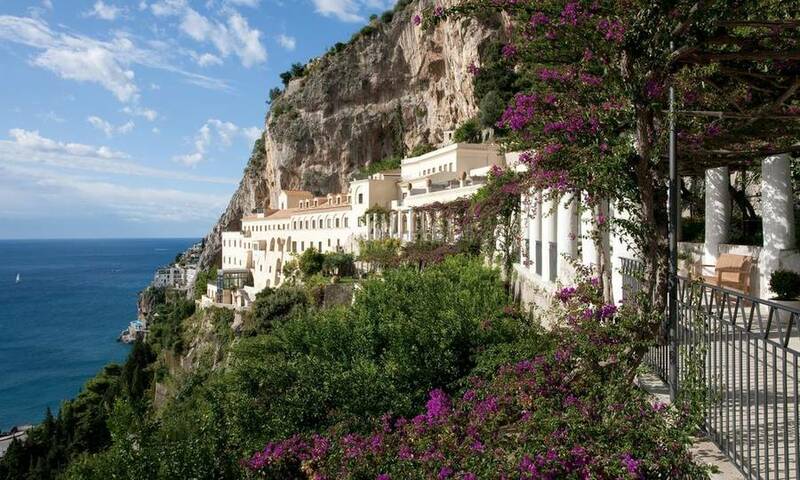 From the heights of its cliff-top position, the Grand Hotel Convento di Amalfi dominates the whole of the Bay of Amalfi. 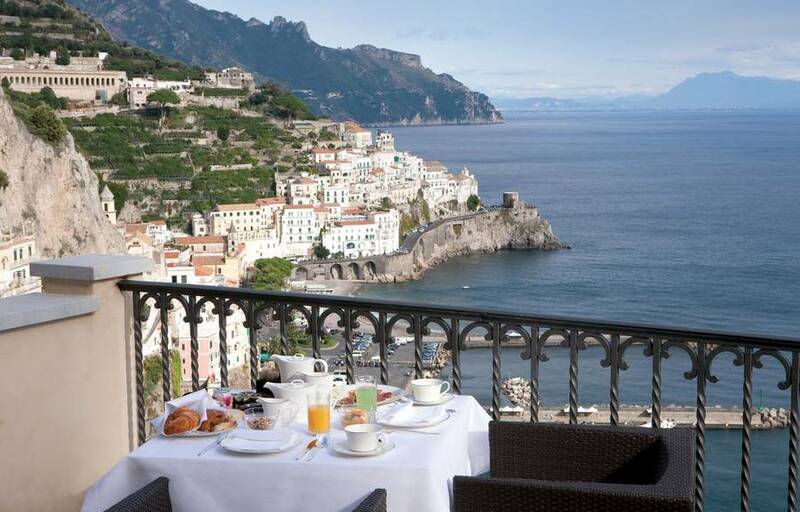 The hotel is located just outside the small seaside town of Amalfi, on the spectacular and often hair-raising SS163 coastal road, also known as the "Blue Ribbon" or "Amalfi Drive". 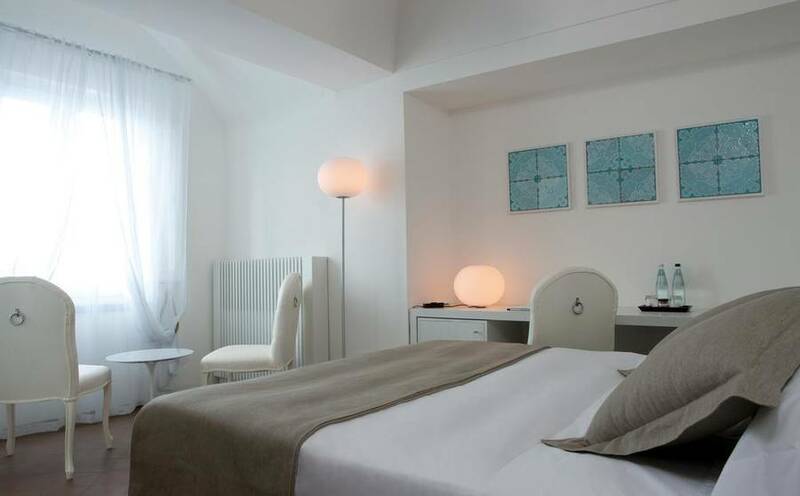 The historic center of Amalfi with its magnificent cathedral lies within minutes of the hotel as do the majority of the Amalfi Coast's most famous towns, such as Atrani, Furore, Praiano, Conca dei Marini, Positano, Ravello, Maiori, Minori and Vietri sul Mare.